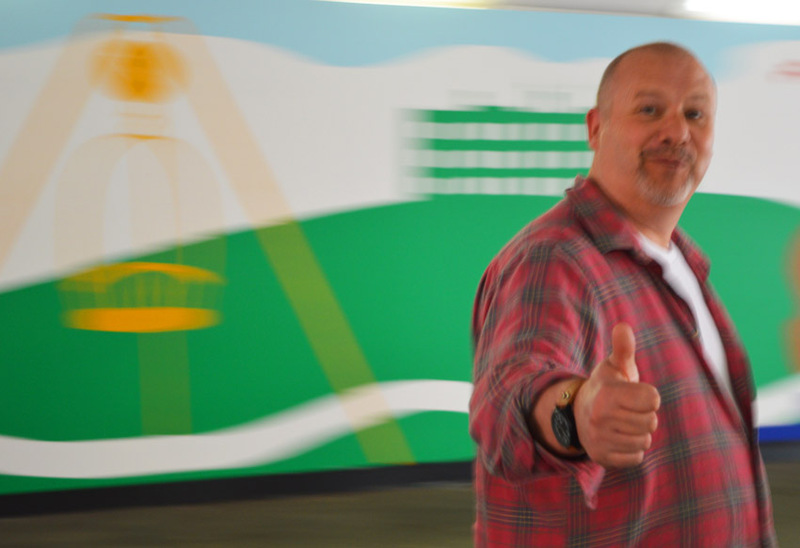 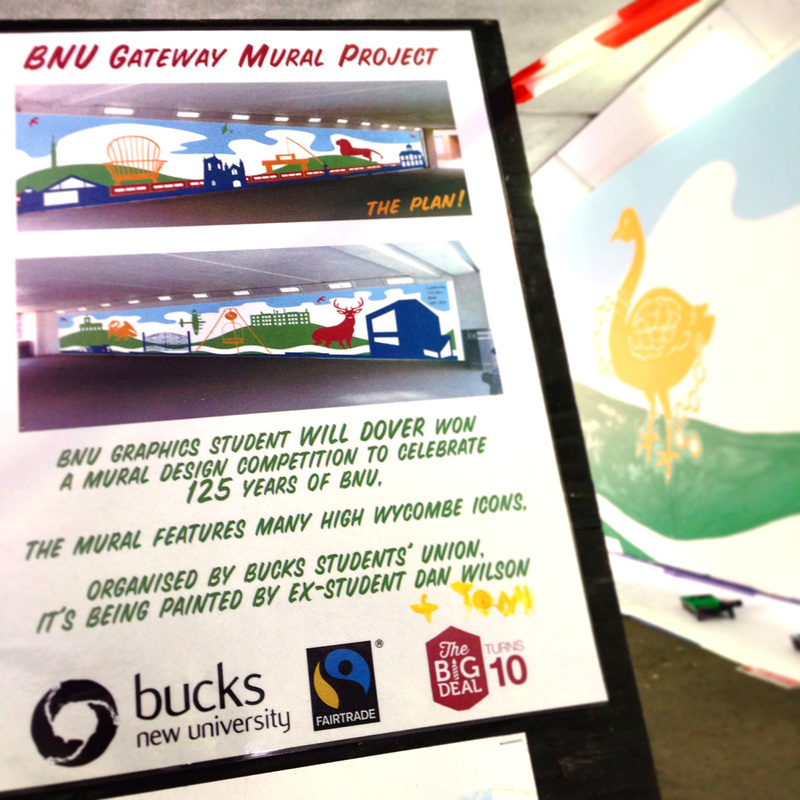 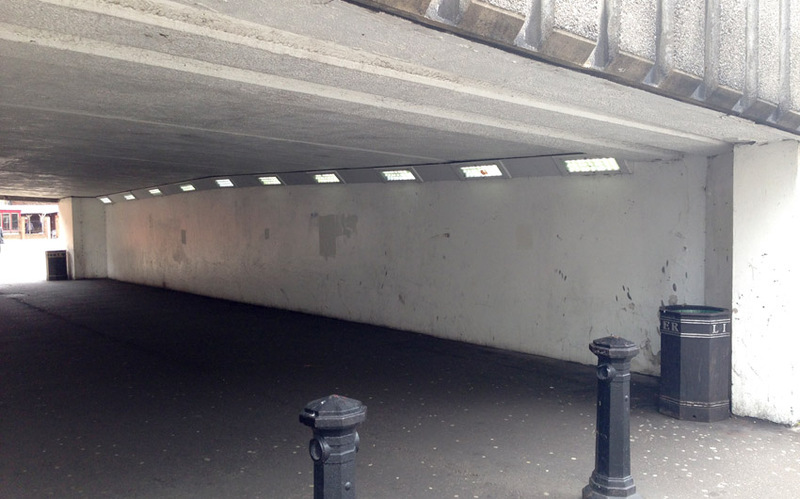 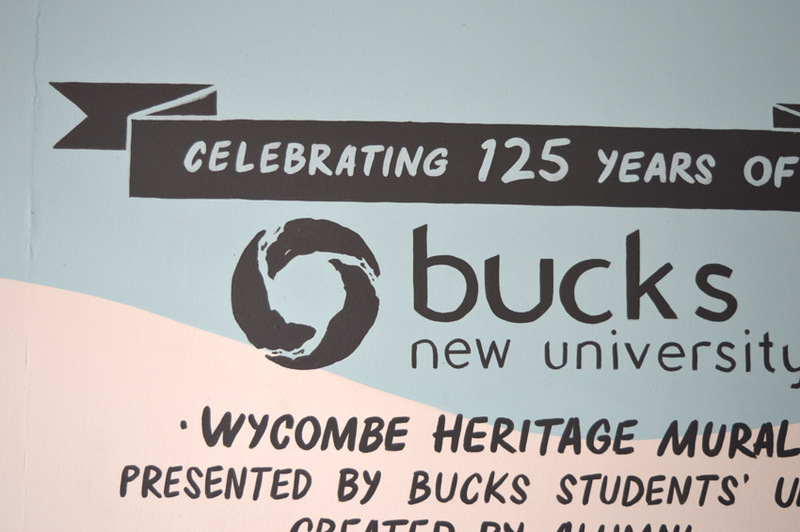 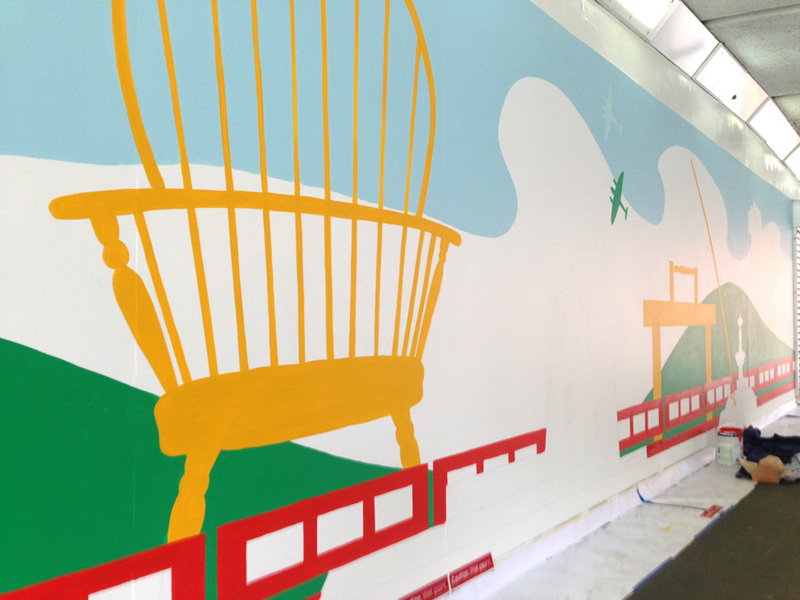 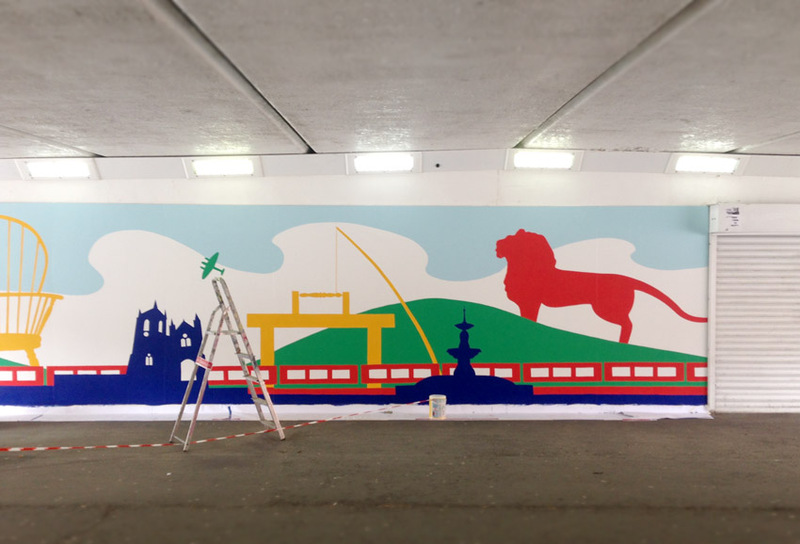 Bucks New University’s Students’ Union started a project to enliven the Lily’s Walk Underpass that connects the Gateway Building to town. 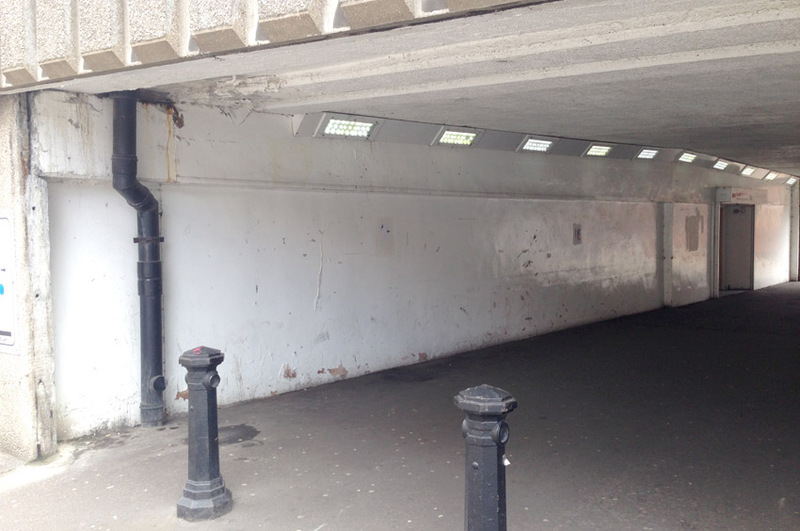 It has high footfall and was sorely neglected. 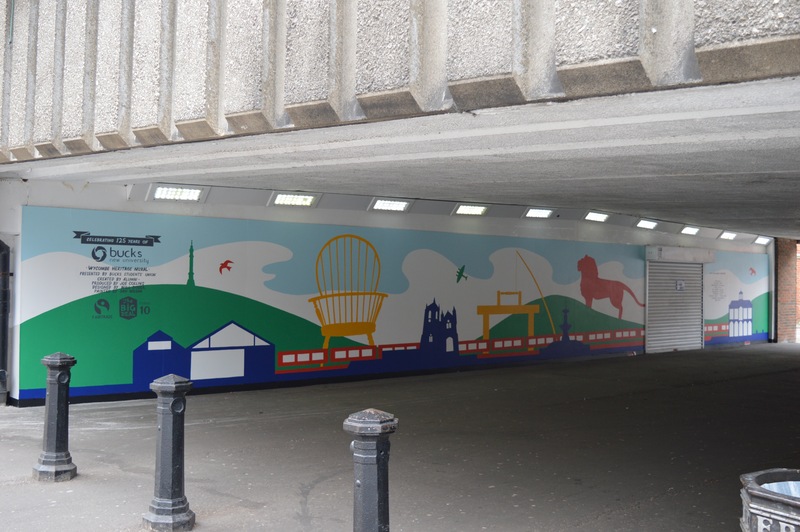 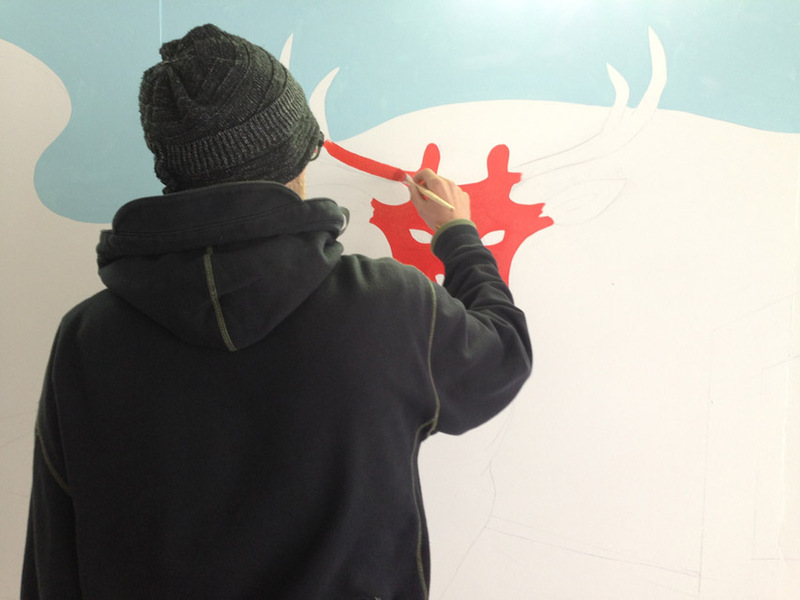 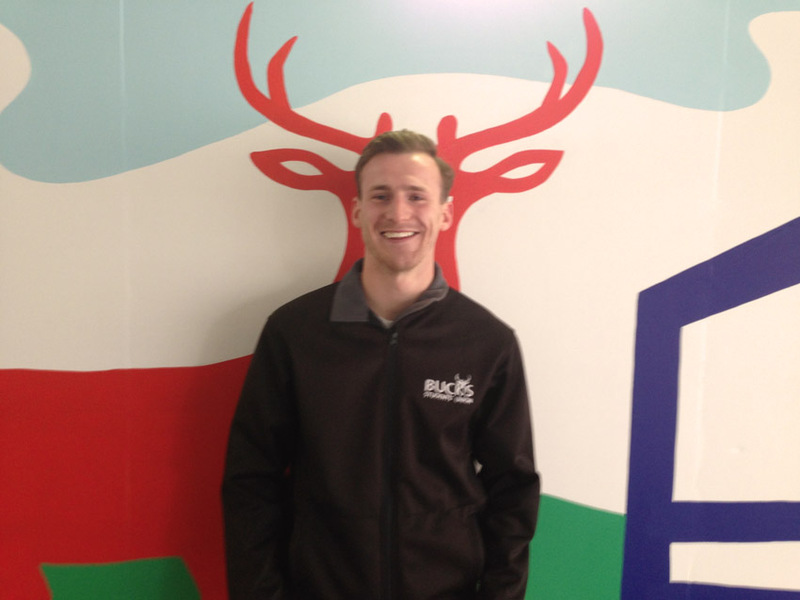 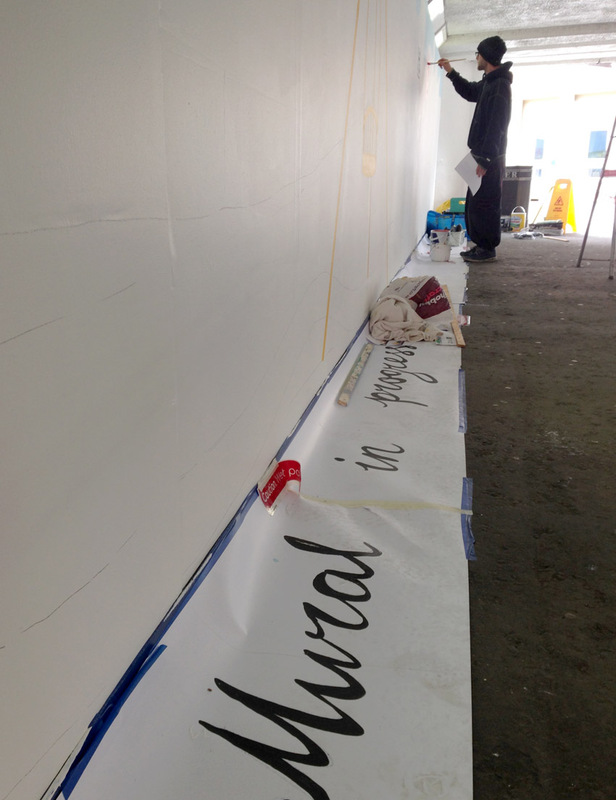 Joe Collins from the SU took on the project management, asking the Graphics Design Course to hold a competition to design the 2x 50ft long murals. 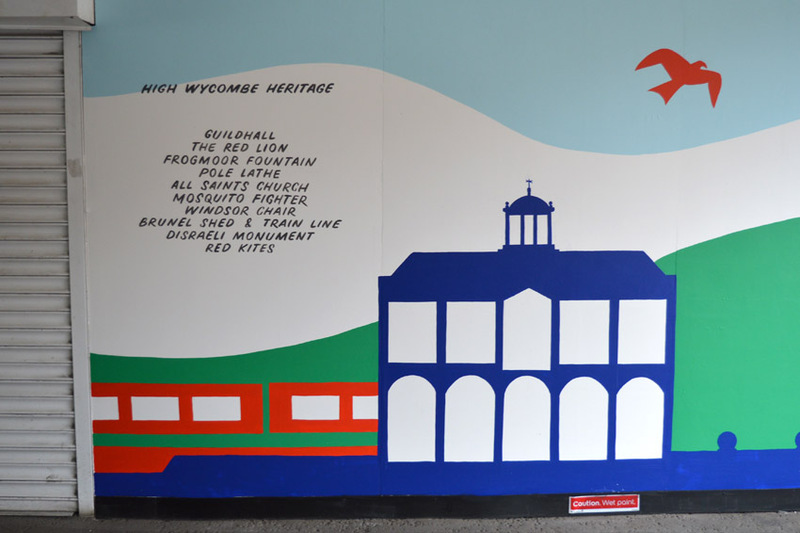 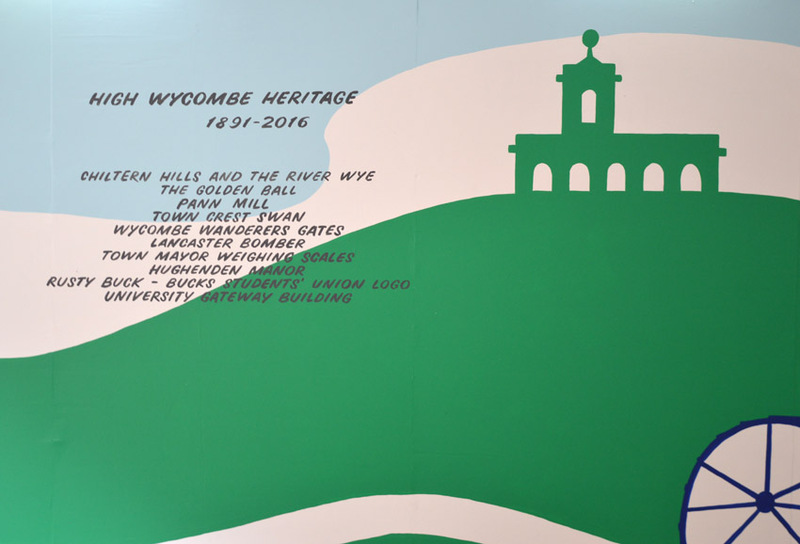 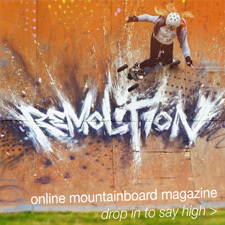 The winning design by Will Dover reflects what you’d find if you Google High Wycombe! 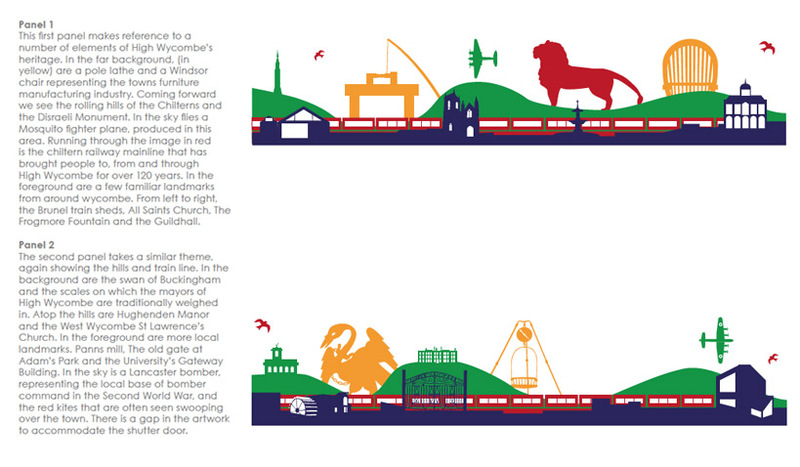 It’s clean vectored look in Google colours is simple, tongue-in-cheek, and reflects local history and buildings. 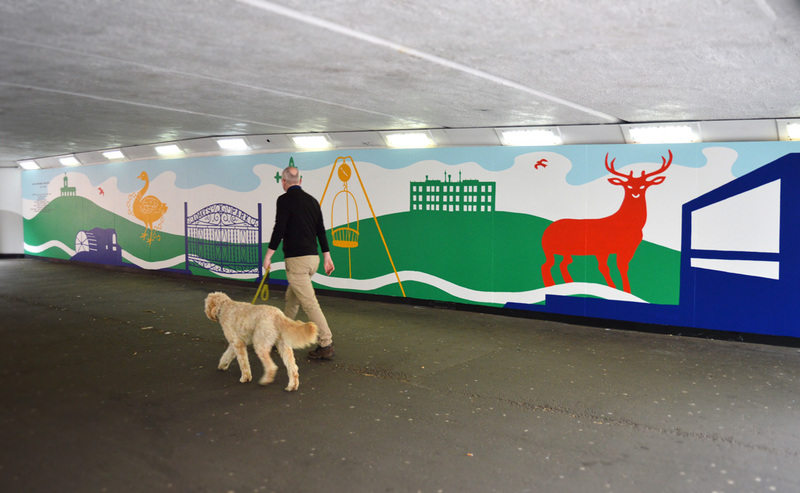 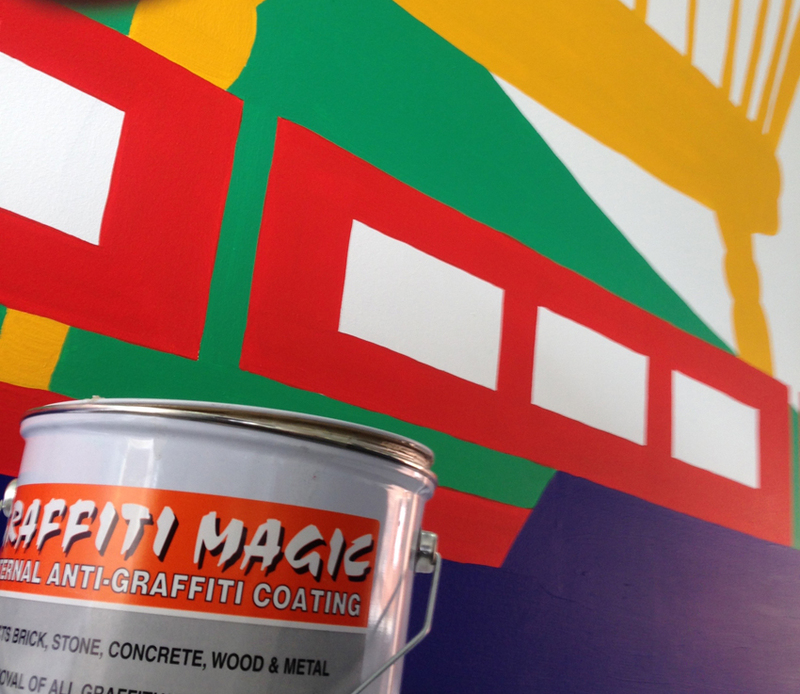 I was commisioned to realise the design and, being my home-town and having done my Foundation Course here back in 1993, it was a privilege to re-invigorate this otherwise wasted space with bold, colourful painting. 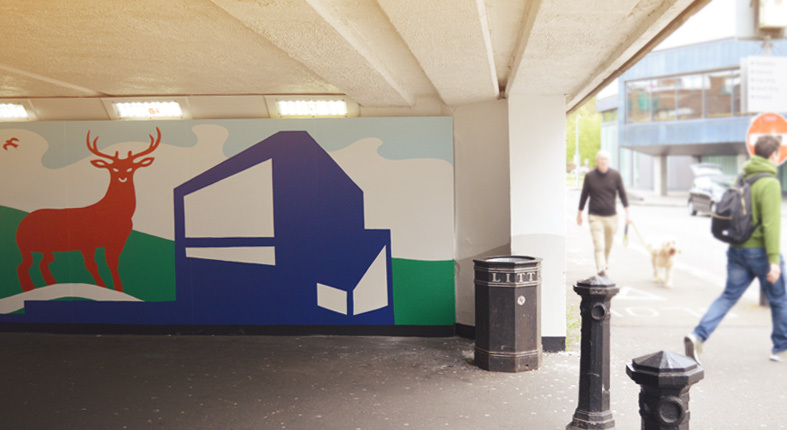 The concrete was in an awful state so it was clad in marine ply first and painted by myself with assistance from colleague Tom Webb. 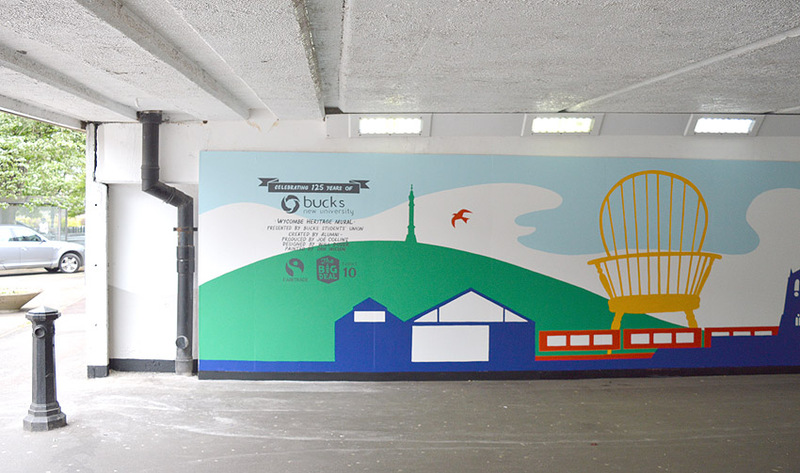 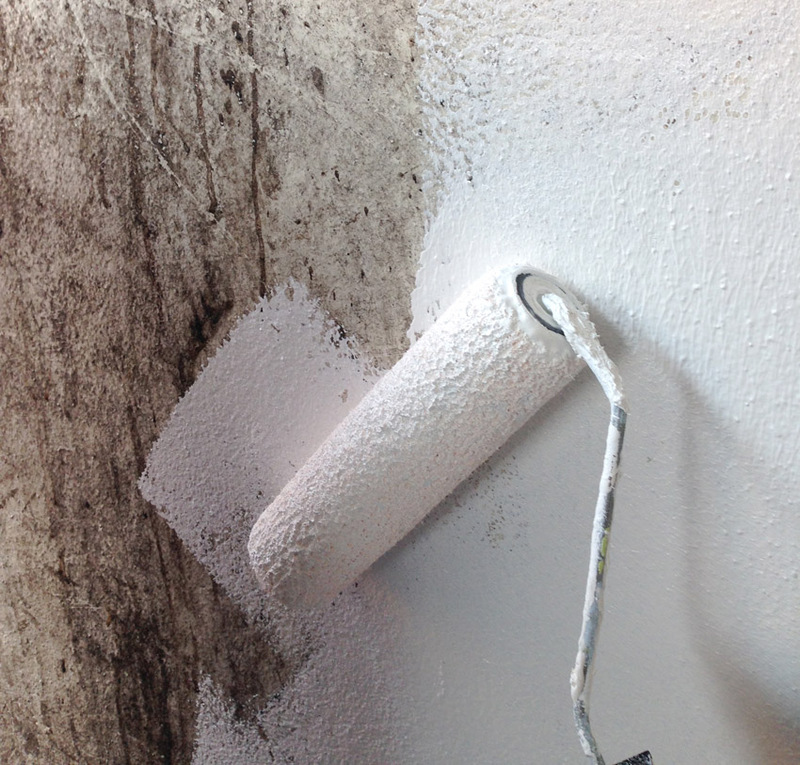 The de-creation extended to the surroundings too, such as some sign writing info and a fresh lick of paint on the ceiling & walls around, giving the mural a nice clean frame. 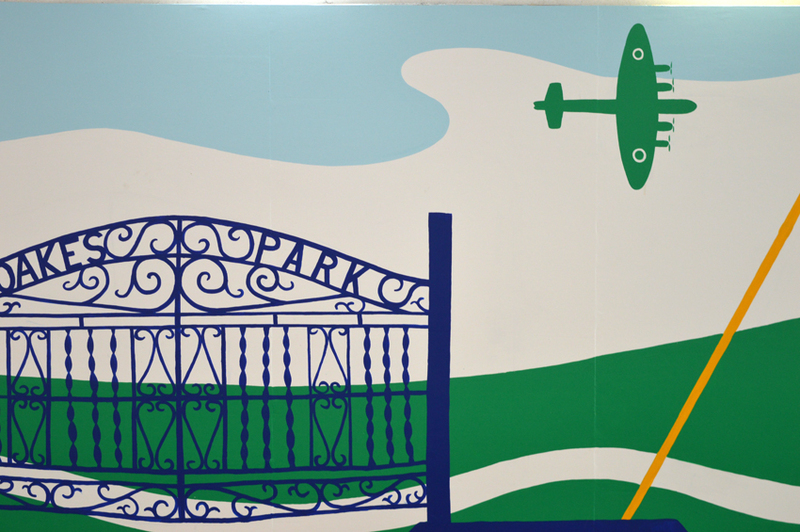 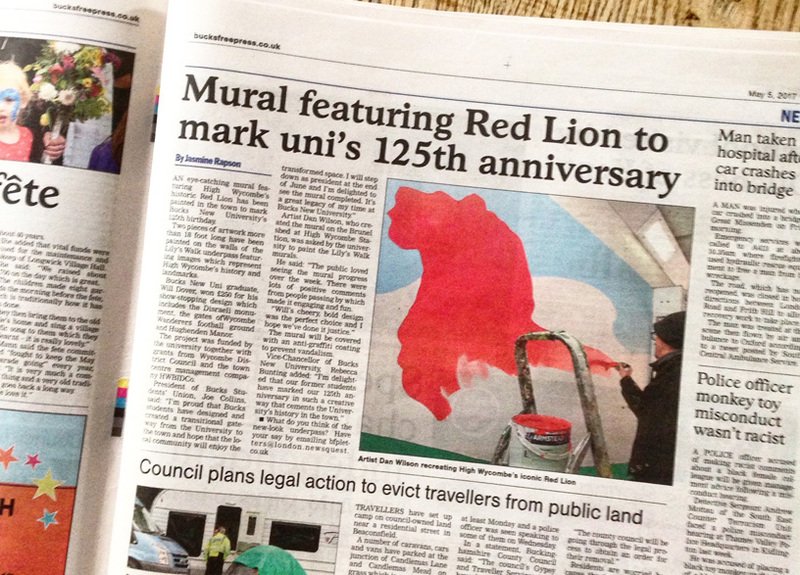 The mural was featured in the local press and has become a bright, popular feature in this part of the town, and is certainly a much warmer welcome for visitors to the University! 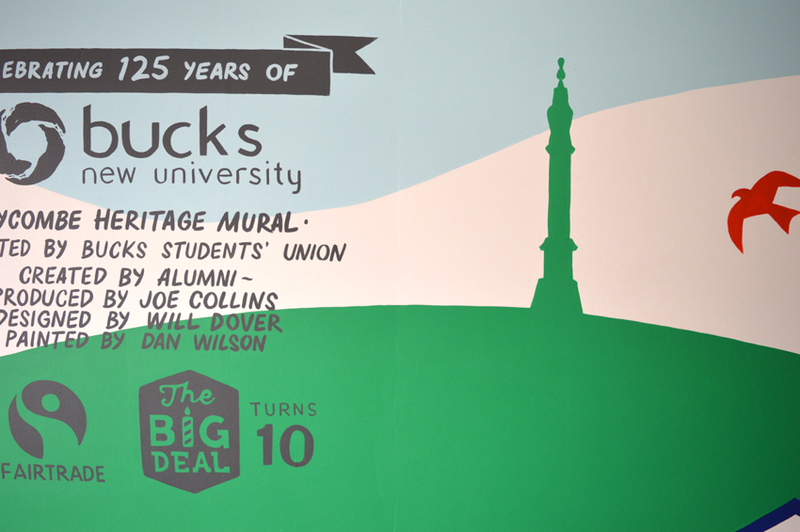 University commissioned, designed by students, hand-painted by us.